Believe it or not, you can live it up at Walt Disney World Resort in 2010 – whether you plan on visiting Disney’s Magic Kingdom Park, Epcot, Disney's Hollywood Studios or Disney’s Animal Kingdom Theme Park – without making a huge dent in your wallet. By planning ahead, seeking out the best online deals and following the money-saving tips listed below, you can enjoy significant savings on your Walt Disney World Resort vacation getaway – without sacrificing any of your family’s comfort or enjoyment. 1. Take advantage of Disney's Give a Day Get a Disney Day promotion and enjoy free entrance to Walt Disney World Resort for volunteering. 2. If possible, plan your Walt Disney World Resort trip during the off-season and you will usually discover significantly lower airfares and hotel/resort rates. 3. Shop at area factory outlet stores such as Orlando Premium Outlets, which sells Disney merchandise at significantly lower prices than you will find at stores within the Disney World theme parks. 4. Check out some of the free things to do at Disney World such as strolling around Disney’s Boardwalk and Downtown Disney Area, or hiking through the Disney Wilderness Preserve. 5. Take the family to one of the all-you-can-eat buffets that lie just outside Disney World property such as Sweet Tomatoes, Boston Lobster Feast, Golden Corral, Ponderosa, Sizzler or Angel’s Lobster & Seafood Buffet. 6. You will discover numerous accommodation choices within a five- to 10-minute drive of the main entrance to Walt Disney World Resort. For instance, you can find incredible deals on spacious accommodations at Westgate Resorts properties that provide convenient access to Disney World theme parks such as Westgate Lakes Resort & Spa, Westgate Palace, Westgate Towers, Westgate Town Center and Westgate Vacation Villas. 7. Look for free publications such as I Love Orlando magazine, which contain a multitude of discount coupons to Disney area attractions, restaurants and specialty shops. 8. Check out comprehensive online guides to Disney World such as Orlando, Florida Guide for in-depth information on finding the best deals on Disney World tickets, accommodations and vacation packages. 9. For larger families, reunions or any other get-together at Disney World, it may make better financial sense to look into renting a spacious suite (see No. 7). 10. If you are visiting one of the Disney World theme parks with young children, don’t forget to bring along a backpack with some snacks or juice boxes. 11. Instead of spending a fortune at a Disney character breakfast, take your kids to Town Square at Main Street, U.S.A. in Disney's Magic Kingdom Park for autograph and photo opportunities with Disney characters. 12. Choose the appropriate Disney World ticket deal based on your family’s length of stay in Orlando and remember not to overdo things – you will want to schedule time for rest and relaxation during your trip. 13. If you choose to eat at the Disney World theme parks, try to make lunch your big meal of the day when prices are considerably lower than for dinner (especially at Epcot’s World Showcase). 14. Whenever you leave one of Disney World’s theme parks, make sure to get your hand stamped. Then after you rest awhile and enjoy a cheaper dinner off site, you can head back to the park after the crowds have thinned out. 15. You may want to schedule your Walt Disney World vacation around one of Disney’s highly acclaimed annual events and festivals, many of which are included with the price of admission such as the Epcot International Flower & Garden Festival, Star Wars Weekends, Epcot International Food & Wine Festival, Festival of the Masters and Holidays Around the World. 16. Carry your own water bottle into the Disney theme park and you can fill it up at any of the abundant water fountains throughout the day. 17. Establish a budget for Disney World souvenirs and stick to your budget (no matter how many cool gifts you see as you stroll through Epcot’s World Showcase!). 18. If you are an AAA or AARP member, take advantage of any special rates or discounts that are available during your Disney World vacation. 19. Purchase such necessities as film and sunscreen before you arrive at Disney World, since prices at the theme parks are more expensive for such items. 20. If possible, try to avoid Disney World during holiday weekends and Spring Break when prices are higher and the theme parks are most crowded. CLICK HERE TO SAVE MORE ON YOUR DISNEY WORLD VACATION!!! What is an Effective Internet Marketing Strategy? If you’re still struggling to finally reach your financial independence & make a nice living from your home, then listen... The only reason why you’re failing is because you don’t have a good website marketing strategy. If you believe that you can jump in, create a website, submit it to a few directories or blogs, sit down, relax & watch those thousands of dollars (that you’ve seen in many marketers’ checks) to come, then you need to stop right there. It ain’t gonna happen. You need to think: who you are and where do you want to be in the future. What is he or she specifically looking for? You must know their problems or desires. You must be in their shoes and find out what is that would make them feel better (an offer). Think about it… There are millions of people buying online every single day. If they’re not buying from you then whose fault is that - theirs or yours? Before you even start creating internet marketing strategy for your website(s), you need to do a research. That’s where it all begins actually. Just like in any business, you have to understand where you are and what can you do. In this phase, you must research your market. Who are your main competitors? What are they doing online? PPC, SEO, press releases, develop their own products, do affiliate marketing or Adsense? What are their weaknesses? Do they offer a guarantee? Is their product really good? Do they build links constantly or not? Who is your favourite customer? Where do they hangout: MySpace or YouTube? Are they freebie seekers or desperate buyers? What forces them to buy one or another product? Read reviews, forums, testimonials to find out as much as you can about your target market. If you’ve performed a thorough online market research, it’s time to systematize the data you have. Write down what are the main strengths and weaknesses of your competitors. Maybe you have more time than your competitors? Or maybe you know some targeted traffic source that others don’t. How might this affect your business? Which are the places your target market usually visits? What are their main concerns? Maybe they’re not satisfied with the products in the market. Can offer something better, maybe in a form of a bonus? After that, you come to the next step, which is developing your internet marketing strategy. Only with the help of close monitoring you can discover what works and what doesn’t. Testing landing pages, testing Adwords ads against each other (A/B split testing) can show you some amazing results. As technology progresses, business is quickly moving online. And with that online move comes a whole new era of marketing: Internet marketing. Online marketing targets the use of keywords and content that search engines will deem as important and relevant, therefore placing the website high in search engine rankings. There are several Internet marketing tips that will help you succeed in this field and push your website to the top of the search results. Keywords are the foundation for your successful Internet marketing campaign. The key to ranking in the search engines is embedding keywords in everything you do online. If you target the wrong keywords, you will get nowhere. When you are doing keyword research, try to think like your customers. Use terms that your audience would use. If you struggle, go to the search engine and begin typing in a search phrase in the search bar. It will automatically come up with suggestions based on what other users are typing. You can use these to find more of a niche for your product or services. Google's Keyword Tool will also help you find keywords for your site. You can enter one of your core keywords into the search box, and it will return suggestions of similar words, along with results of their popularity. You also can enter your website or the site of a competitor. It will scan the website and return keyword suggestions based on the terms already being used on the site. Video is one of the most powerful Internet marketing tools on the market today. When creating a video for your product or service, don't format it like a TV commercial. Instead, create the video so that is provides useful information to the audience. A quality video has the power to spread and be shared across the various social networking venues; it basically markets itself. Put some creative thought into setting your video apart, and you will succeed in search engine marketing. When it comes to search engine marketing, content is vital. It is your content that reinforces what your site is about. You use keywords to tell the search engines the subject of your website, and you use your content to back those keywords up. Create web content that is informative, relevant, and original. If you provide users with information they can't find anywhere else, your company will be noticed online. Create a learning center on your website filled with additional information about your industry. Blog to give readers regular updates. Contribute guest columns to popular magazines in your industry. Put all of your efforts into your content, and you will see a difference. Social media is what brings your search engine marketing program together. Create Twitter and Facebook accounts, and gain followers by posting valuable information and interesting updates. Use these sites to push your content out to your followers and create a discussion on your topics. Use LinkedIn to connect with other industry experts and establish your credibility. Use Digg and StumbleUpon to further promote great blog posts and articles and attract external links and traffic to your sites. These are free tools that are just waiting to be used for your search engine marketing efforts. There are many Internet marketing tips for online promotion that are used every day to generate millions of dollars in sales. Some cost a lot of money. Some don't cost any money at all. Some are a little shady and unethical, and some are 100 percent legitimate. One thing that is certain is that millions of Internet searches are performed every day. With the Internet, the entire world can be your customer if you follow the right steps so people can find you when they are searching. The term search engine optimization or SEO has often been used to describe just about any type of Internet marketing, and sometimes Internet marketing itself. They are not one in the same. SEO in its truest sense, refers to optimizing web pages to rank higher in search engine results pages. There are some technical tricks that help, such as modifying title tags and meta tags, but for the most part it is about content. If your site contains relevant content and keywords that people are actually searching for, you will rank higher. Pay per click, or PPC for short, are the small text ads you find down the right hand side of a Google or Yahoo search results page. Google's version, called Adwords, generates billions of dollars per year. Basically, these are ads that you create based on certain keywords that are relevant to your business. You can select the maximum you will pay for each click on the ad, and you only pay when someone clicks on your ad. Amounts can vary from as little as a few cents per click for less popular keywords to 50 dollars per click for very competitive keywords. Article marketing, also known as "bum marketing," is a free method of online promotion in that it doesn't require any money up front. It does require you to write articles about different elements of your business, based on specific keywords, and submit them to online article directories. You will include a resource box at the bottom of the article with a link to your website. When people search for keyword phrases in your article, it will show up on the left-hand side of a search results page. This is also known as "organic search results." Email marketing is the "keep in touch" element of Internet marketing. If people aren't sure whether they want to buy on your first contact, you have the opportunity to reach them again and again until they are. You will offer a newsletter or free report on your website in exchange for email addresses. Then you have the ability to contact them and market products and services that match their interests. Be sure to mix it up and send emails that aren't selling anything at least half the time. This will create trust and let them know you care about them. This is another free Internet marketing tool. You will visit different online directories that are relevant to your business and place a link to your website. You can also leave comments on blogs and forums and do the same. These are known as backlinks. When someone clicks on your link from another site, search engines look at that as a vote for your site. The more "votes" your sites has, the more important it must be, and the higher it will rise in search results. Internet marketing is an essential part of building visibility and brand awareness online. As more and more businesses establish a web presence, it has become much more difficult for businesses to stand out from the crowd. Another marketing challenge for small business owners is the financial costs. Although most online marketing techniques are cheaper than traditional marketing methods, staying within a tight budget can still be an issue. Fortunately there are quite a few Internet marketing tips for the poor that can yield impressive results. When you go online to search for information, you type a word or phrase into the search engine. This is known as a keyword, and it results in several web pages relevant to the keyword you typed. Using targeted keywords in website content can help your website appear in the top search engine results. Use free keyword tools like Google Adwords, Keyword Tool or Wordtracker.com to research and find keyword phrases that are highly used to find information online. Article marketing is another effective way to increase traffic to your website. This internet marketing method costs nothing but your time. It involves writing 400 to 500 word articles on topics related to the product or service you provide. The articles should include targeted keywords throughout the content so that they rank higher in the search engines. Once the articles are written, you will need to find the right article sites for publication. There are quite a few article sites to choose from, but the two main types of sites are general purpose and industry specific. Choose four to six different article submission sites. Include your keywords in the resource box at the end of each article with a link back to your website or blog. Using free social media sites like Facebook, Twitter and YouTube are easily counted among the Internet marketing tips for the beginner. These sites can drive a lot of web traffic to your site if used effectively. The key is to engage in conversation with others more than you promote your own product or service. Post interesting content, respond to others and offer to help others by answering questions. Utilize website analytics. One Internet marketing tip that should not be avoided is monitoring your website analytics. You can use a free analytics tool like Google Analytics. This information will reveal how many visitors come to your website or blog each day, how long they stay, which pages they view and which links were clicked. You'll also get useful information such as where your visitors come from, the number of brand new visitors versus repeat visitors and how many unique visitors visit your site every day. This kind of information can be invaluable in helping you test and make improvements to your site. Using free social media sites like Facebook, Twitter and YouTube are easily counted among the Internet marketing tips for the poor. These sites can drive quite a bit of web traffic to your site if used effectively. The key is to engage in conversation with others more than you promote your own product or service. Post interesting content, respond to others and offer to help others by answering questions. If there was a magic food that would cure everything (weight gain, heart disease, aging, your annoying boss) would you eat it? Of course you would! Unfortunately, I can’t say I have found that one magic food yet (as soon as I do, I promise to let you in on it). The good news is there are several foods you can eat that give you some extra bang for your buck. By this, I mean, not only are they tasty and healthy additions to your meal plans, they also provide a chock full of antioxidants to your body. Antioxidants have been all the rage for quite some time now, but many people don’t know exactly what they are. Antioxidants are substances or nutrients in our foods which can prevent or slow the oxidative damage to our body. When our body cells use oxygen (in almost everything we do each day), they naturally produce free radicals (by-products) which can cause damage. (Exercise is a good example of a healthy activity that naturally produces free radicals.) Antioxidants act as “free radical scavengers” and help prevent and repair damage done by these free radicals. Health problems such as heart disease, macular degeneration, diabetes, and cancer are all contributed by oxidative damage. You can see how it’s important for us to get these “free radical scavengers” into our bodies each day, especially if we have made exercise a part of our daily routine. Lucky for you and me, the list of foods containing antioxidants is pretty extensive: vegetables, fruits, most nuts, fish & shellfish, red meat, grains, eggs, chicken and garlic are just a few examples of some great, healthy foods that will get you your daily scavenger. There are some foods that are particularly high and famous for their free radical destroying abilities. Here are three of my favorites. Acai is a fruit that grows on the Acai Palm Trees in the Amazon Rainforest of Brazil. 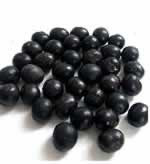 The Acai berry is small in size (smaller than a grape) and is dark purple in color. Although Acai may be small in size, it is jam packed with antioxidants and amino acids, and is thought to be one of the most nutritional fruits of the Amazon basin. Acai has 10 Times the antioxidant power of red grapes and twice that of blueberries. With that being said, I am not going to tell you that this fruit is the cure all for everything that ails you (like many internet sites trying to sell their Acai berry supplements and going a bit overboard with their claims). The Acai berry is a wonderful antioxidant and it is a great addition to your healthy meal plan, but not a magic potion that will cause the weight loss many make it out to be. Green tea, black tea, oolong tea, and white tea all come from the same tea plant, Camellia sinensis. All teas from the camellia tea plant are rich in polyphenols, which are a type of antioxidant. Whether it’s green or black, tea has about 8 to 10 times the polyphenols found in fruits and vegetables (although the types of antioxidants are a bit different). You can see how including a cup or 2 of tea can be a great way to get a mega dose of antioxidants into your day. However, just as people have taken information about the good ‘ol Acai berry too far, they have done the same with green tea. Yes, it is a wonderful addition to any diet, but it is not the miracle drink many people make it out to be. Studies have shown that it may have some metabolism increasing effects and assist the body in fat burning but drinking jugs and jugs of it all day is not going to guarantee long term weight loss. One to two cups is more than enough to receive its benefits. We also want to remember that tea does contain caffeine and some people need to be careful with their daily caffeine intake. 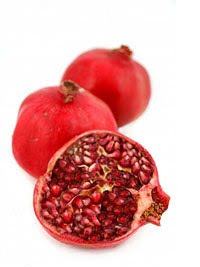 The pomegranate is a popular exotic fruit whose origins are from the Middle East and Asia. It is also known as the granada, grenade, and the Chinese apple. Aside from its rich flavor and the number of ways to eat and drink it, studies have shown that pomegranate contains more antioxidants than green tea, cranberries and even red wine. Pomegranates have also been shown to promote healthy blood pressure levels and low cholesterol. Pomegranates may be especially helpful for men as studies have concluded that it may help prevent prostate cancer and growth. How can I incorporate these great foods into my daily meal plan? 1. 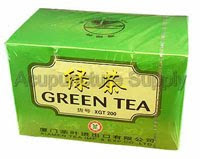 Start your day with one cup of green tea. I say the morning, so the caffeine does not affect your sleep that night. You can sweeten your tea with Stevia, Xylitol, Agave Syrup, or a small amount of raw honey. 2. Eat a pomegranate as your fruit of choice with breakfast, lunch or snack or drink 2-4 ounces of pomegranate juice. I suggest mixing your 2-4 ounces with water and sip alongside one of your meals. 3. If getting in antioxidant rich foods each day is a challenge for you, you can supplement with an antioxidant supplement. Prograde, one if the very very few supplement companies I trust, has a powerful antioxidant supplement I highly recommend. It contains a high-octane extract blend of coffeeberry, pomegranate, green tea, acai berry, wolfberry and Biovin grape. As a nutritionist, the most common question I get daily is “What is the Best Diet to follow?” My answer is always the same and one that shocks many people. “The best diet to follow is to follow NO diet at all.” How could any nutritionist wanting to promote health tell you not to follow a diet?” Easy. I’m here to tell you that diets do not work. They are one of the most common reasons people have such a hard time losing weight. People are making the mistake of following a diet instead of following a delicious way of eating that will satisfy their hunger, their taste buds and help them reach and maintain an optimum weight and optimum health. With all of the junk food, false advertising, and false information out in the world today, how is this even possible? A delicious way of eating healthy that will help me lose weight at the same time? Yes, this is possible for you once you are armed with the correct information. The best diet is going to be one that you can stick to (for more than just a week), one that includes delicious food and one you are happy with, not to mention one that you can maintain for a lifetime. 1. Only eat food you enjoy. that would be just great, but I enjoy pizza and donuts and that sure doesn’t seem to be helping me lose weight. Yes, I agree. What I mean here is don’t establish a crash diet of cottage cheese and grapefruit if you absolutely hate those 2 foods. Healthy food does not have to be akin to bird seed. How about scrambled whole eggs in butter with your favorite vegetables and 2 slices of sprouted grain toast? French toast made from healthy bread, and eggs? A juicy hamburger or steak for lunch or dinner? How about making your own pizza from healthy ingredients? I could go on and on with a long list of delicious foods. The point is you do not have to eat like a bird or eat tasteless food to be healthy and lose weight. Find the healthy foods you enjoy and get creative with those. You will find you will have an incredible amount of delicious food options. 2. Do not go cold turkey. Rome wasn’t built in a day right? You do not have to change every single one of your habits overnight. Establishing one healthy eating habit each week or eliminate one “not so good” food every week. This will prove to be life changing in just 1-2 months. Not to mention it will eliminate any stress or anxiety you may have over changing all of your habits overnight. Start with the easiest one for you. How about drinking water? Can you replace your sugar drinks with water and just do that for one week? How about just cutting down on a few sodas and replacing them with water? One small step each week will make your transition simple and easy. 3. Do not go hungry. Another very common mistake I see is people starving themselves in an effort to lose weight quickly. The truth is you do not need to feel hunger in order to effectively lose weight. Actually, the contrary is true. You must give your body enough nourishment (good nourishment, that is) in order to see weight loss results. Make sure to feed your body consistently throughout the day. Breakfast, lunch and dinner are all important but so are snacks in between. Munching on things like raw nuts, fresh fruits and healthy trail mixes can really keep you from experiencing any hunger throughout the day and help control any cravings that may come up. Remember that the Best Diet you can begin today is an eating plan that does NOT resemble a diet at all. Tell people you had French toast for breakfast, chicken stir fry for lunch and a juicy steak with potatoes for dinner and they will wonder how in the world you are losing weight and looking great. Easy, I stopped dieting and found the Best Diet for me! Copyright © 2010 Please Told Me!